The Campbell Hausfeld dual action air sander (CL150498AV) is ideal for auto body and wood finishing projects. 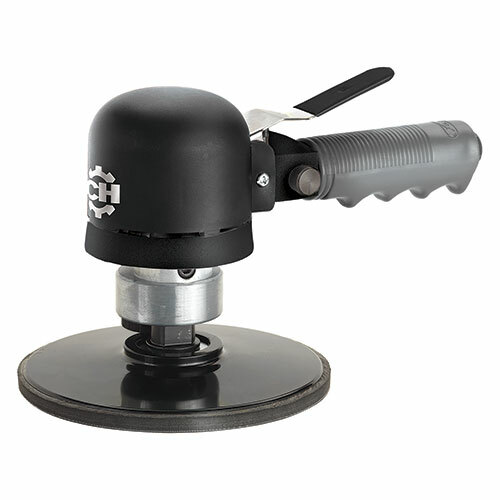 Operating at 10,000 RPM with a 3/8-inch orbit, this air sander’s powerful, dual-action motion is designed to quickly smooth surfaces and give a swirl-free finish. Ball bearing construction for smooth performance and long life. The built-in regulator and large control lever give the user precise speed control. 16.5 SCFM average air consumption. 3/8-inch minimum hose size.